The Aesop Primrose Facial Hydrating Cream comes in a 120ml jar and is a cream designed for daily use - perfect for stressed skin or those with a normal to dry skin type. 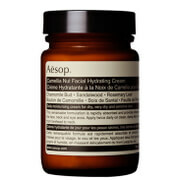 This is one of the most popular products in the Aesop range. It absorbs into the skin quickly, and its hydrating ingredients penetrate deeply into the skin and then smooth and soften the skin. One of the main qualities of the primrose facial cream is its high content of gamma linoleic acids, which work with the primrose and the extract of rose hip seed. Other ingredients included in the cream include sage, wild rosemary and lavender. It is recommended that you use this cream with other products from the same range. I've satisfied with the purchase. The cream is blending softly on my face. I have a dry skin. It is better than Mandarin cream when in dry day. Absorbs quick and it leaves my skin with a Matt finish. My skin is more soft and looks healthier. Strong fragrance and soft texture, international express takes 10 days, in my expectation, the only drawback is that the packing is simple and crude. I hope that improvements will be made in this regard. Thanks for sharing your beautiful things in the worldwide. after used,skin is stable. worth to recommend. It smells like lavender. 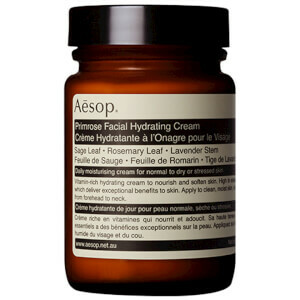 My skin used to be very dry, after applying this cream, the dry problem has been solved. I have recommended it to my friends. I find this product really good. I use it every morning and night. After I applied it in the evening，I always found my skin feels moisturing next morning and I'm fond of its smell which makes me think of the herbs . Used twice and haven't noticed a difference. But skin feels soft after washing it off. It smells unique. I can accept the smell but not like it. The produce may be suitable for the people with dry and neutral skin. However if u r oil skin, it's not a good option. The amount is enough to use and qualify its price. However, it's not easy to apply to face evenly. I love, love, love this cream. It is not too heavy for my dry skin, doesn't cause any breakouts.. Moisturizes really well, and keeps skin feeling smooth and supple. I have already purchased this product twice in the 120ml version, can't say enough good things about the product..
use in spring and autumn. A night cream suitable for use in spring and autumn. Like the smell of it, like a brown bottle, I expect to be able to achieve the effect I want! Fresh and non greasy moisturizing effect was very good but at the same time! Even if I'm in a very dry environment also can feel it all day moisturizing cream, very good! The price is high! First of all, this cream smells pretty great. No stimulation and well moisturization. I will buy it again and I love Aesop. good product~! I like it so much!